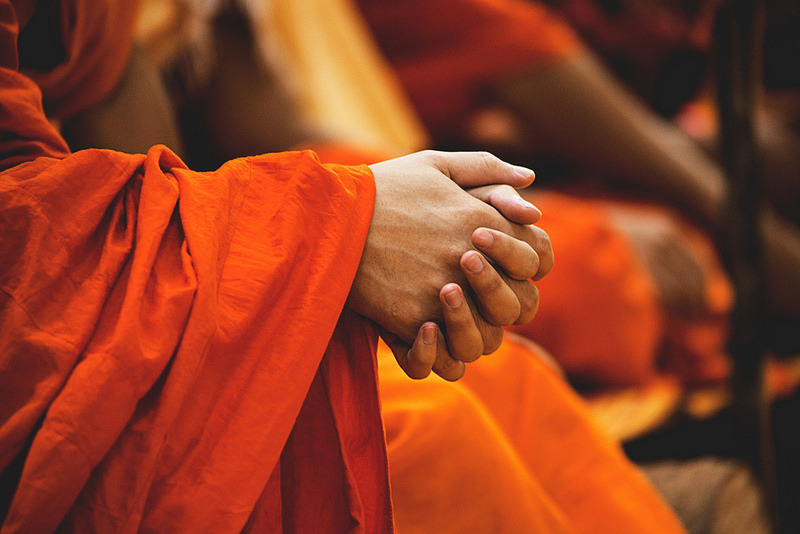 Often the act of prayer surges from a deeper source than any ideology can express. Despite our belief or lack of it, despite our skepticism and our desperation (or because of it) we cry out, we plead, we negotiate. Sometimes we are moved to tears by a joy so deep it almost hurts, and we blurt out thanks whether or not we think there is someone to listen. There are moments of sitting still, when listening to the quiet beyond words roots us and allows us to gain reservoirs of trust and hope we had not previously been able to access. We encounter seasons of sorrow so enervating that we can only curl up in the dark and enter the depths. From the depths I call you, God! Help, in such moments, is more embrace than action; simply feeling held in times of trauma is an answer. If the situation is already known and the outcome is already determined, then perhaps the only role left for prayer is to stroke God's insatiable ego. We repeat "You are great! You are great!" to try to appease Divine narcissism. After all, our dominant theologies already precluded the possibility of God needing our prayers, changing because of prayer, or modifying the foreknown outcome because of us. The only remaining function of prayer seems to be abject fawning. Frankly, don't you often feel that sentiment is what most of the prayers in the Prayerbook express?